Va. Gov. 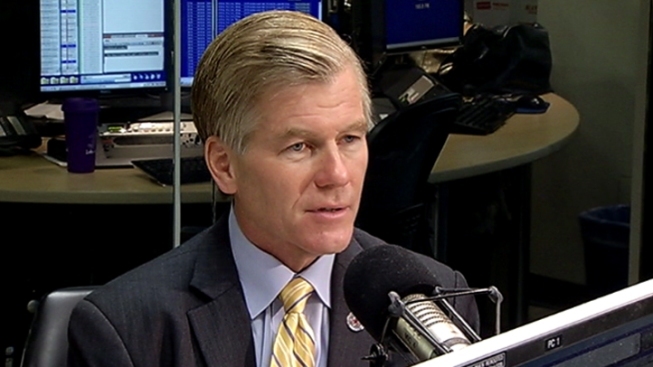 Bob McDonnell appeared at WTOP today. Gov. Bob McDonnell has named 37 people to a mental health task force that he established last month. The Task Force on Improving Mental Health Services and Crisis Response includes legislators, other state officials, community mental health workers, hospital administrators and law enforcement authorities. It is co-chaired by Secretary of Health and Human Resources Bill Hazel and outgoing Secretary of Public Safety Bryan Rhode. McDonnell created the task force after the November death of state Sen. Creigh Deeds' son. Gus Deeds stabbed his father multiple times before committing suicide at their Bath County home. The incident occurred hours after Gus Deeds had been released from an emergency custody order. The task force will hold its first meeting Tuesday.